TCU notched their second conference win last week, Oklahoma State showed just how inconsistent they really are and Kansas proved that even through their struggles, the Big 12 crown goes through Lawrence. Oklahoma and Baylor would be an interesting matchup, with each having very different strengths. Baylor is a little more skilled on defense, however Oklahoma has an exceptional perimeter game on both sides of the court. 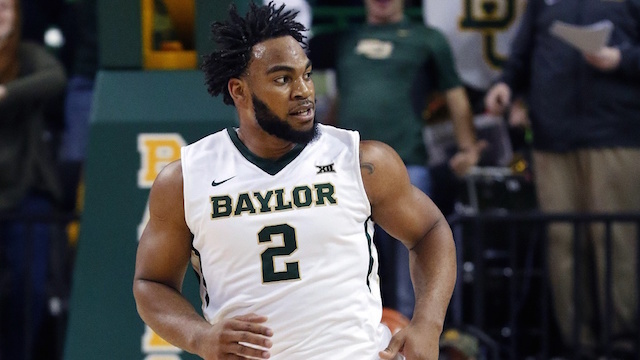 Rico Gathers of Baylor and the Sooners’ Ryan Spangler would be a 1-on-1 matchup that I’d pay to see. West Virginia and Oklahoma State play for the first time this year on Saturday in Stillwater. With Oklahoma State having problems with consistency on defense and living or dying by the 3 on offense, this game is truly a toss-up. If OSU is hitting shots then the Pokes should win. However, if the Mountaineers are matching the Cowboys shot-for-shot or stopping the O-State perimeter attack, I don’t think it will be close. Texas Tech is the lone truly bad team in the nation’s deepest conference. I have a feeling that they’re a one-and-done in Kansas City. Kansas State has found their rhythm lately and may be able to climb their way back in to the NCAA Tournament. Maybe. Overall, the Big 12 proves each week that without any guarantees, it is the nation’s toughest conference.